The changes we're making this preseason all work toward making each game of League feel unique. From the different champion strengths you bring to the items you take to battle, all the way to the masteries you choose - we want your decisions to matter and have a clear impact on how each game plays out. 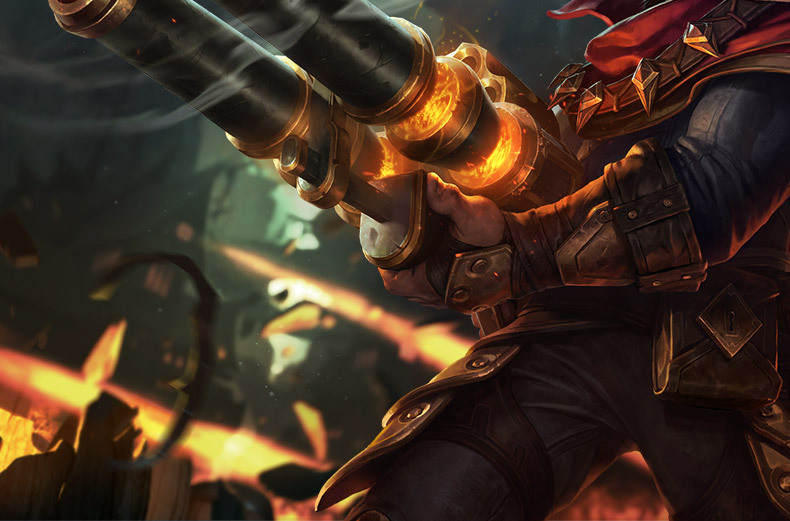 We're following up our juggernaut changes with a close look at League's marksmen. Rather than just balancing them against today's meta, we want to give each marksman a specific meta-agnostic identity, a unique bargaining chip that each can bring to the table to either catalyze their team comp or counter the enemy's. Miss Fortune's always been the wombo comboiest of League's champs, so we're souping up her ult and adding in a new mechanic to highlight her trigger-happy tendencies. We're turning Quinn into League's speediest champion. No-one counters a split push as fast as Demacia's Wings. Graves has always been about getting up close and personal to whatever he wants to make holes in, and now he's even stronger at that. We dare you to dive him. We're refining Kog'Maw into a high-powered artillery void puppy. Properly protect him, and he'll wreck any team. 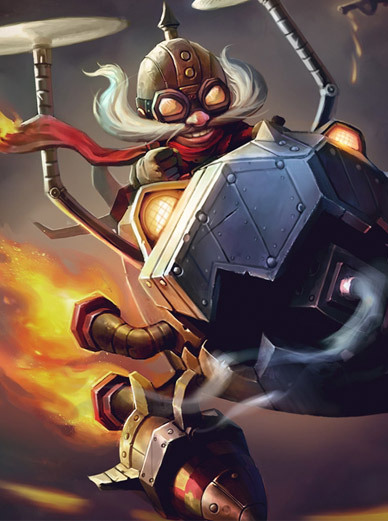 Corki's still the most magical of the marksmen, but now the daring bombardier gets one minute to go FULL CORKI whenever he heads back to base. 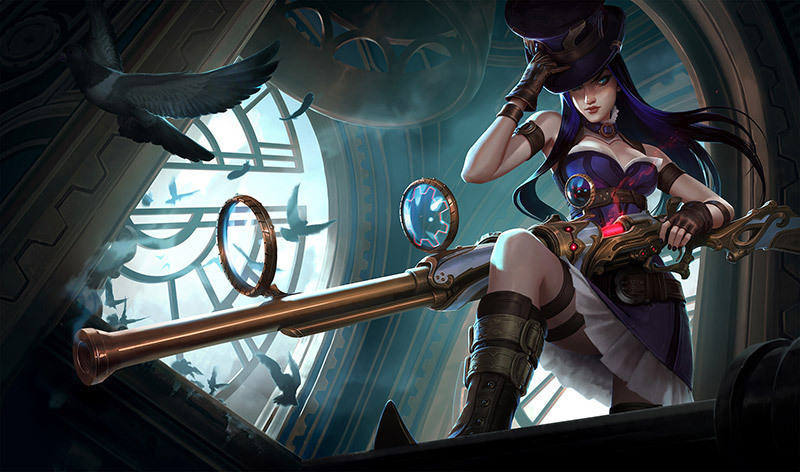 Caitlyn’s on the hunt as Piltover’s premier sharpshooter. Siege down enemy turrets while picking off fleeing enemies. We're offering more options when it comes to who (or what) you want to fight, and how you contribute to your team through that choice. So whether you want to be a lone gunman, dueling on the edge of the fight, or the nimble spellcaster, or the siege machine and tower crusher, we're providing you with the right items to buy so you can take out the right targets. We've done a sweeping categorization pass of marksmen items to clearly communicate why and when you would want to buy an item. Some haven't changed much, but we've revamped others significantly to play nice with the rest. Below, we've tagged new items (and significantly revamped items) accordingly, as well as those who've had larger changes. How do I deal damage? Spells? Attacks? Both? I'm casting spells. Lots of them. Unique Passive: +10% Cooldown Reduction. Unique Passive: Gain increasingly more Cooldown Reduction from Critical Strike Chance provided by other sources (maximum +20% additional Cooldown Reduction at 30% Critical Strike Chance). Unique Passive: Critical strikes restore 3% of your maximum Mana pool. Unique Passive: Critical strike bonus damage is increased by 50%. I'm taking down my targets, one at a time. How do I take my damage... and amplify it? Unique Passive: Spectral Waltz: While within 500 units of an enemy champion you can see, +12% Movement Speed and you can move through units. Unique Passive: Lament: The last champion hit deals 12% less damage to you (ends after 10 seconds of not hitting). I want to push my lanes… with electricity! Unique Passive: Shiv Lightning: Your Energized attacks deal 30~100 bonus magic damage (based on level) to up to 5 targets on hit (deals +75% bonus damage to minions and can critically strike). Unique Passive: Firecannon: Your Energized attacks gain 35% bonus range (+150 range maximum) and deal 50~200 bonus magic damage (based on level) on hit. Energized attacks work on structures. Unique Passive: Wind's Fury: When basic attacking, bolts are fired at up to 2 enemies near the target, each dealing (25% of Attack Damage) physical damage. Bolts can critically strike and apply on hit effects. Who do I need to take out? Unique Passive: Giant Slayer: Grants up to +15% physical damage against enemy champions with greater maximum Health than you (+1.5% damage per 50 Health difference, maxing at 500 Health difference). Unique Passive: Last Whisper: +40% Bonus Armor Penetration. Unique Passive: Executioner: Physical damage inflicts Grievous Wounds on enemy champions for 5 seconds. I just need some early protection before I get going. Unique Active: Quicksilver: Removes all debuffs and also grants +50% bonus Movement Speed for 1 second (90 second cooldown). Unique Passive: Dealing physical damage heals for 12% of the damage dealt. This is 33% as effective for Area of Effect damage. Unique Passive: 12% of damage taken is dealt as a Bleed effect over 3 seconds instead. 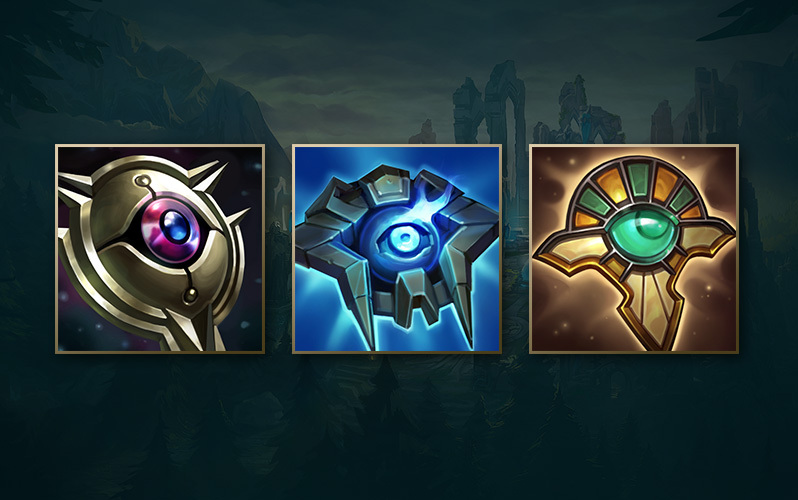 This preseason, we're updating the mastery system to offer focused, high-impact choices rather than a slew of nuanced micro-math optimizations. Each successive "tier" of masteries will grow in importance, ending in a tier 6 "keystone mastery" that fundamentally impacts how you play your champion. By condensing power into clear decision points, the masteries you take from game to game should have an impact on your playstyle, and we want to offer multiple mastery paths for most champions in League. Hover over each Keystone mastery for a recommendation on how to use them! For those who want to carry the game with scaling damage. For those who want to take out - or protect - key targets. For those who want to live forever. Recommended For: Brawler-type champions who want to add a little offense when building up their health. Recommended For: Tanky junglers or laners who just want to get even tankier. Large monsters and Siege minions that you or nearby allies kill grant you permanent health up to a maximum cap. After reaching the cap, additional kills restore health. Recommended For: Tanky supports or junglers who want to protect their allies at all costs. Reduce all damage by a certain amount. When near an ally, a portion of the damage they would take is dealt to you instead (cannot reduce you below 15% health). Your potions, flasks, and elixirs last longer. Additionally, your potions are replaced with biscuits that restore health and mana instantly on consumption. Earn gold for each nearby minion killed by an allied champion. Gain additional gold when hitting an enemy champion with an attack or spell. Recommended For: Assassins who want the mobility to get out once they’ve picked off their target. Recommended For: Burst-focused casters who want to double-down on their combo abilities. Recommended For: Support champions with shields or heals! Your shields and heals on allied champions (excluding yourself) are stronger and increase your target’s resistances for a few seconds. Recommended For: Champions who rely on critical strike chance to scale into the late game. Recommended For: Auto-attack based champions who just want to keep hitting things. Basic attacks and spells grant you a stack of Fervor (up to a cap) for a few seconds. Each stack of Fervor adds bonus physical damage to your basic attacks against champions. Recommended For: Area-of-effect mages and damage-over-time mages who want to win by attrition. Deal increased damage when no allied champions are nearby. It’s no secret that players who depart for the top lane can end up feeling isolated without a dragon to contest. Rather than just flipping the map on its head, we’re exploring ways to bring some relevancy to the north so top laners can feel like they're interacting with their team before the 15 minute mark. 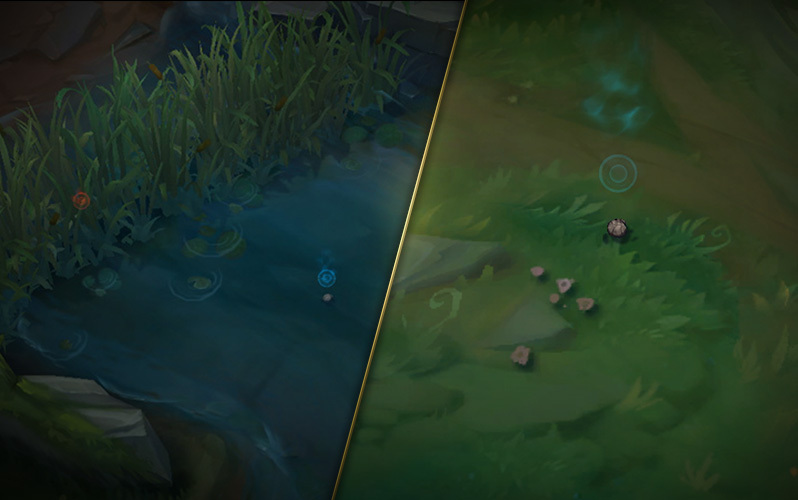 This season, expect to meet something new on Summoner’s Rift - the Rift Herald - in the early phases of the game. The Rift Herald takes 35% reduced damage from ranged attacks. Hitting it's weak point - the eye on it's back - deals 15% of its maximum health as bonus true damage and causes the eye to close for a few seconds. An aura that grants: +40% Increased Attack Speed to all minions, and +100 Attack Range to cannon minions. Our goal with vision is two-fold: first, we want to keep pushing the vision game as a team effort and, second, we want to make vision more dynamic than days past. For that first goal, we’re doing things like free trinket upgrades for all, along with the option for tier 2 support items to upgrade into either powerful tier 3 active items or slot-efficient sightstones. For the second goal, we’re removing Stealth Wards from the shop so teams will need to rely more heavily on their pink (and blue trinket!) wards to get the vision control they need. In tandem with this change, however, we’re also adding a new feature in ward ‘debris’ when a ward passes on. By giving you the ability to see the dead bodies of wards who’ve moved on with their lives, you’ll be able to learn more about your opponent’s vision habits as well as your own. Wards now leave behind corpses when they die, letting you know the warding habits of your enemies and teammates. Trinkets now upgrade automatically and grow in strength as you gain levels. Blue Trinket has been removed, but Yellow now either works like before (2 wards on cooldown) or can be sidegraded to a long-range scout trinket, capable of dropping a visible 1-health ward with unlimited duration. Red Trinket now ‘reveals’ all units (monsters, champions, wards) it scans, acting as both a ward sweeper and brush checker. Red can also sidegrade into a personal radar that follows your champion around for a while, sweeping and disabling all wards as you go. Gold generation support items can now either upgrade into fully-fledged tier 3 items with powerful actives, or slot-efficient sightstones with gold generation stats. Additionally, we’ll be reintroducing the Ruby Sightstone, which will reduce the cooldown of all of your active items. So either you can go all-in on active items, or just finish that Sightstone before going traditional damage / tank support items. We're using the Doran's items (Blade, Ring, and Shield) as a baseline "generalist" set, with the addition of newer, more specialized options for those who want to opt into other early-game openings. Do you want a more aggressive lane? A defensive farming option? Somewhere in between? We've got you covered. Unique Passive: Killing a minion grants 1 additional Gold. Killing 100 minions grants an additional 300 bonus gold immediately and disables this passive. Unique Passive: Do or Die: Grants 2 Glory for a champion kill or 1 Glory for an assist, up to 10 Glory total. Lose 4 Glory on death. Unique Passive: Tooth: Damaging a monster steals 25 Health over 5 seconds. Killing a Large Monster grants +15 bonus experience. Unique Passive: Nail: Basic attacks deal 20 bonus damage on hit vs. Monsters. Killing a Large Monster grants +15 bonus experience. Health pots are going up in price to better position them as a purchase for those who just need some sustain to get them past the early game. Any form of long-term sustain we folded into the refillable potions (and their subsequent upgrades) to really solidify their identity (because before, it was… flask and potions to be a ‘sustain' build). Mana potions, on the other hand, are being removed. Our decision to remove mana pots goes along the same philosophy as starting items. 100 mana tends to benefit certain types of champions over others (with mana costs being balanced against individual champion kits) and can wildly shift from being a mediocre purchase to a very cost-efficient one. By removing mana pots, we can better balance champion ability costs with the mana regeneration stat while also streamlining the 'sustain game' of League. On Consumption: Restores 150 Health over 15 seconds. Unique Active: Consumes a charge to restore 125 Health over 12 seconds. Holds up to 2 charges and refills upon visiting the shop. Upgrades into either Corrupting Potion or Hunter's Potion. Unique Active: Consumes a charge to restore 150 Health and 50 Mana over 12 seconds and grants Touch of Corruption during that time. Holds up to 3 charges that refills upon visiting the shop. Killing a Large Monster grants 1 charge. Bullet Time now lasts longer and fires increasing waves of bullets as she levels her ult, while we're moving Strut over to her W and giving her a brand new passive tentatively titled... Love Tap. With it, MF will deal increased damage to targets other than the one she last shot at. She has two guns, and by constantly switching targets, she'll deal huge amounts of pain to multiple victims. 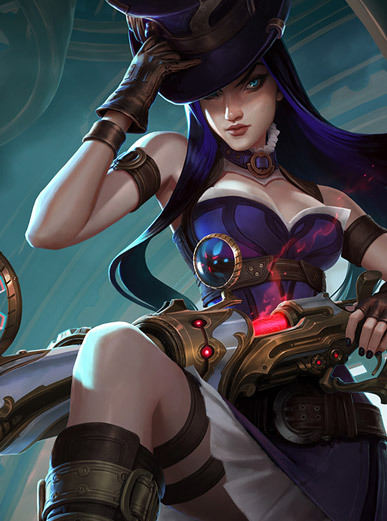 Finally, Impure Shots doesn't last as long, but gives her much more attack speed, and crucially lasts longer every time Miss Fortune deals extra damage with Love Tap. Miss Fortune deals bonus damage whenever she attacks a new target. 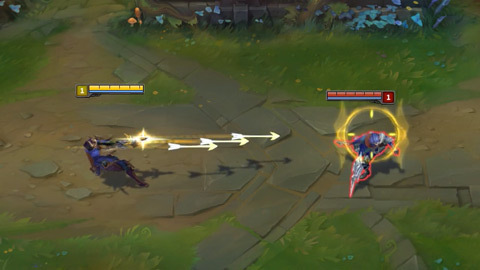 Miss Fortune fires a shot through an enemy to hit another enemy behind them, dealing more damage to the second target. Both strikes can apply Love Tap. If the first target is killed, the second will take bonus damage. PASSIVE: After a few seconds of not taking direct damage, Miss Fortune gains bonus movement speed. After a period of time, she gains additional movement speed. 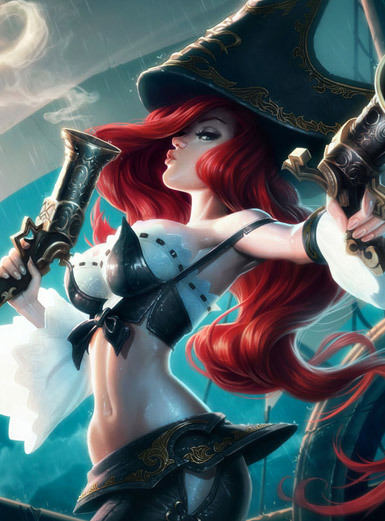 ACTIVE: Miss Fortune bonus attack speed, in addition to the full movement speed bonus of Strut's passive. Love Taps prolong the attack speed bonus - duration gains are doubled against champions. 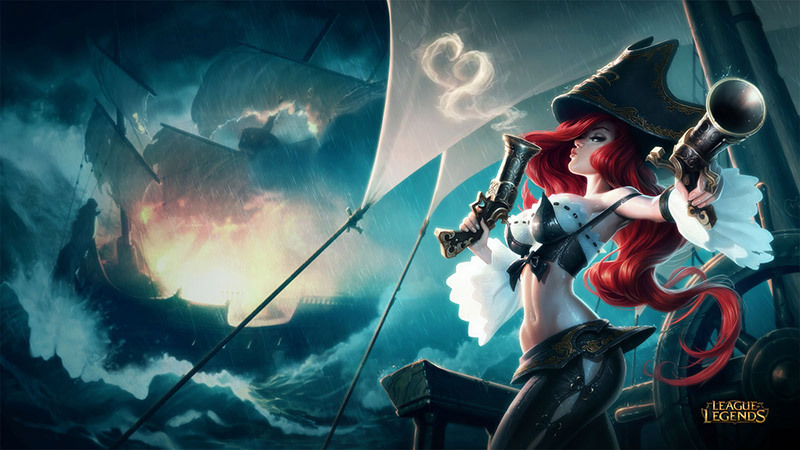 Miss Fortune fires hundreds of bullets into the air that rain down at a location, dealing damage and slowing enemies. Miss Fortune channels a barrage of bullets into a cone in front of her for a few seconds, dealing damage per wave. Bullet Time can critically strike for bonus damage. 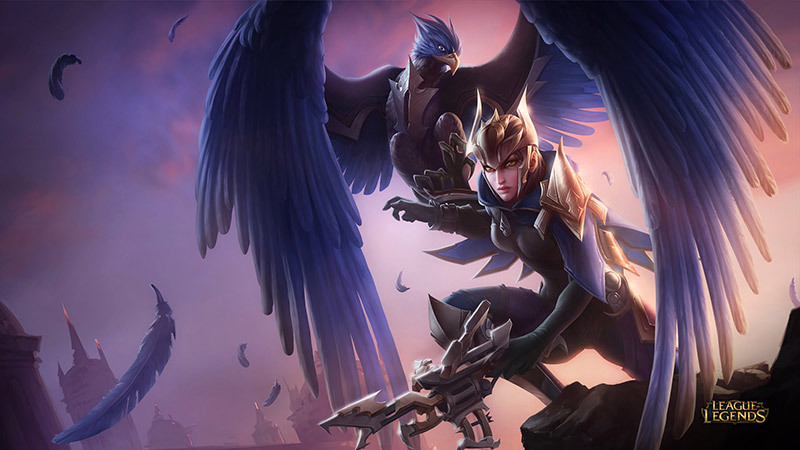 Blinding Assault no longer blinds (so uh... that's going to need a rename), but its cooldown is reduced whenever Quinn attacks enemies turned Vulnerable by Valor. 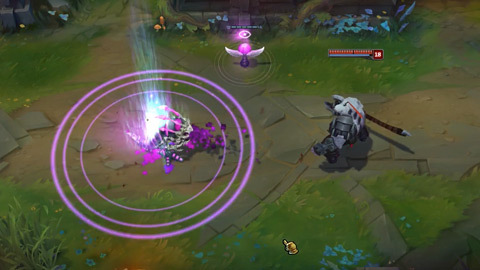 Next up, we're turning Quinn's ult into a toggle, giving Demacia's Wings the ability to MOVE. Most champions rely on Teleport to safely stray from their team, but League's speediest champion can move about freely and split push - or counter a split push - anywhere on the map without needing summoner spells. Every few seconds, Valor marks a nearby enemy as Vulnerable, revealing them for a few seconds. If Quinn hits the vulnerable target, she'll deal bonus damage. Harrier's cooldown scales with critical strike chance. Valor flies in a line, stopping at the first enemy hit and dealing damage to all nearby enemies. The primary target is marked as Vulnerable. If Aerial Assault kills a unit, half the cooldown is refunded. 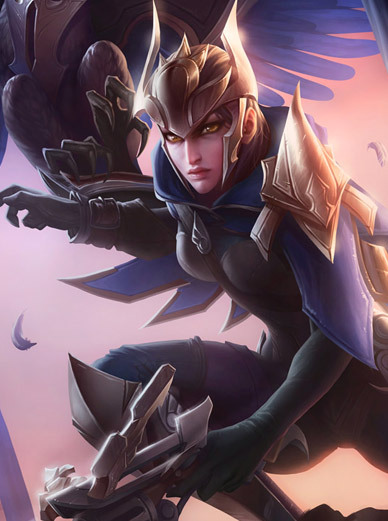 PASSIVE: Attacking a Vulnerable target increases Quinn's attack speed and movement speed. ACTIVE: Valor reveals a large area around Quinn. Quinn dashes to an enemy, dealing damage and marking them as Vulnerable. Upon reaching her target, she leaps off, briefly displacing and slowing them. 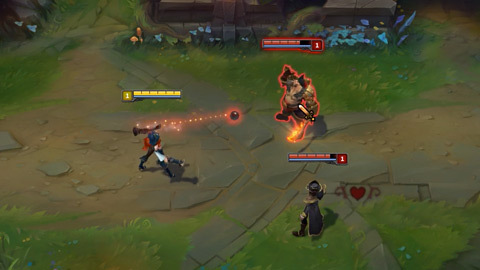 We're changing up Graves' basic attacks so they behave like his Buckshot, meaning his basic attacks deal area of effect cone damage and knockback minions, although the three (yep - his shotgun still fires three rounds, and no, we still can't explain it) rounds can each be blocked. 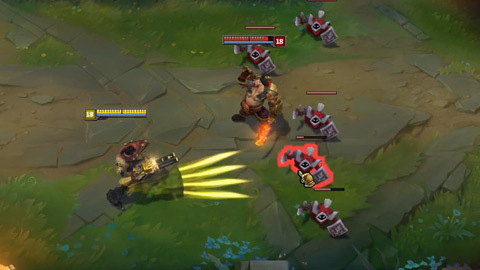 Still on Graves' basic attacks, he actually has an ammo system now, and reloads his gun after firing two rounds. Every round that lands reduces the cooldown on Quickdraw, which no longer grants attack speed but does reload his gun. Finally, we're tweaking Buckshot, giving it a unique T shape attack that deals two rounds of damage. We could try to explain it, or you could just watch the video. Basic attacks fire a cone of bullets (double the amount for a critical strike), dealing base damage for the first bullet hit and bonus damage for each additional bullet. Attacks cannot pass over units, but knock back all non-champions. Destiny works off of an ammo system, and Graves must reload after 2 attacks. Graves fires out an explosive canister that deals damage to enemies in a line, leaving behind a trail of gunpowder. After a couple seconds, the canister detonates the gunpowder trail, dealing additional damage. If End of the Line collides with a wall, it explodes immediately. Graves fires out a smoke canister, dealing damage, slowing enemies, and creating a cloud of Black Smoke that lasts for a period of time. Enemies inside Black Smoke cannot see out. Graves dashes forward, reloading one bullet while moving. For a few seconds Graves gains bonus armor and magic resistance. This bonus can stack. Basic attacks lower the cooldown of Quickdraw and, when Graves attacks non-minions, he also refreshes his defensive bonuses. 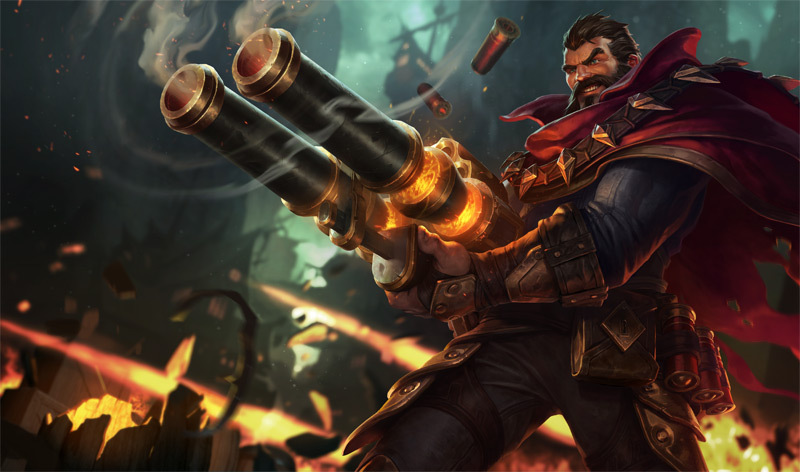 Graves fires an explosive shell with so much force that it knocks him back. The shell deals massive damage to the first enemy hit (or it reaches the end of its range) before exploding in a cone, dealing additional damage to enemies behind. We're lopping off Living Artillery's double champion damage, and adding in execute damage that scales up to deal quadruple damage to low health targets. Meanwhile, we're cutting Kog'Maw's Bio-Arcane damage in half while doubling its attack speed buff. Oh, and as long as Kog'Maw's W is active, he'll completely disregard League's attack speed cap. 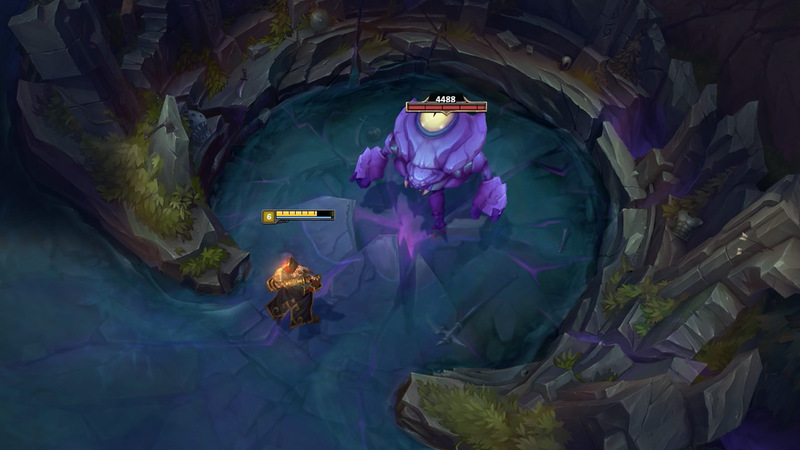 Upon dying, Kog'Maw starts a chain reaction in his body, causing him to detonate after a few seconds,dealing true damage to surrounding enemies. PASSIVE: Kog'Maw gains bonus attack speed. 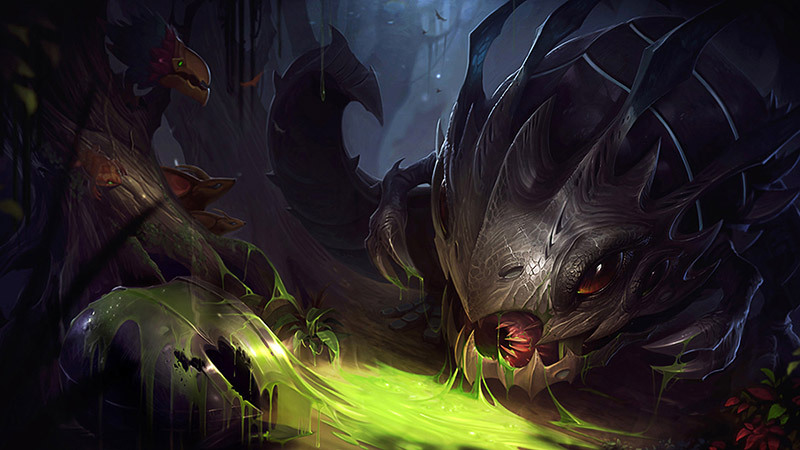 ACTIVE: Kog'Maw launches a corrosive projectile that deals damage to the first enemy hit, reducing their armor and magic resistance for a few seconds. Upon activation, Kog'Maw gains bonus attack range and double the attack speed from all sources. 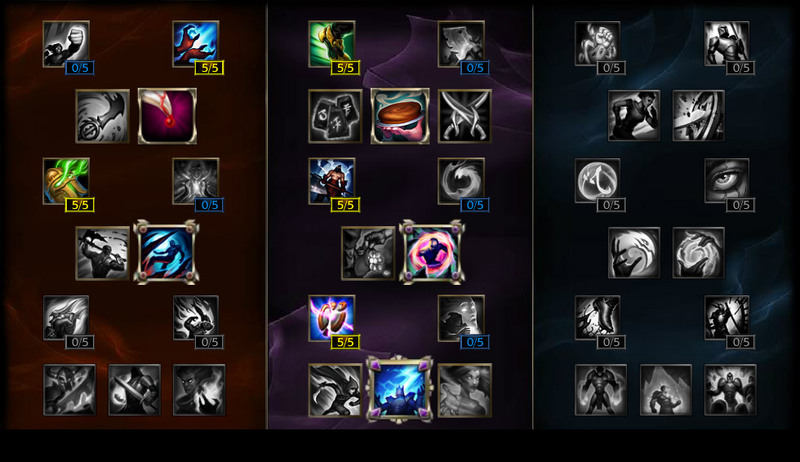 Kog'Maw's basic attacks shred the target for a percent of their max health. Also, Kog'Maw's attack speed cap is doubled. 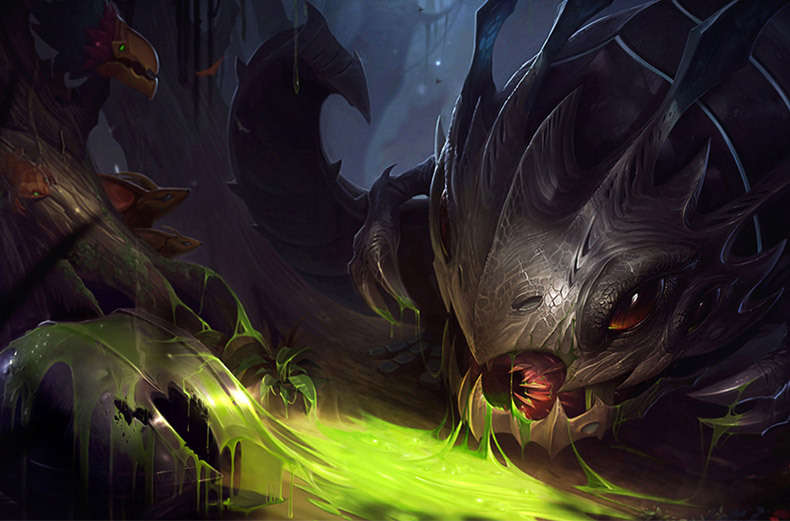 Kog'Maw spits out a trail of ooze, dealing damage to and slowing all enemies it passes through. 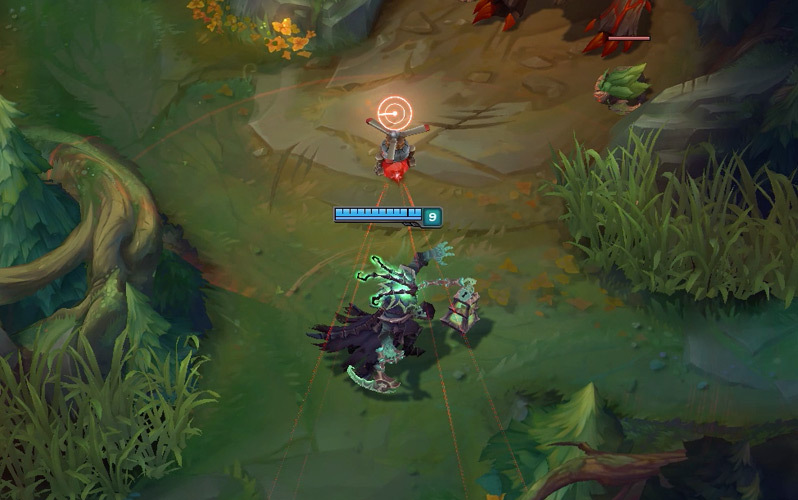 Kog'Maw fires a living artillery shot from a great distance, dealing damage based on the target's missing health, revealing them for a few seconds and increasing the cost of subsequent artillery shots for a period of time. Corki's always been League's magic damage dealing marksman, something we're reinforcing by tweaking his basic attacks to deal half magic and half physical damage. We're reducing the range of his Valkyrie to make him a little less safe, but adding in something totally unique to the mustachioed aviator. Now, once he hits level six, Corki - or Corki's ground staff - will spawn a crate of rockets and bombs back at HQ. Once Corki flies over one of his crates, he gets SUPERCHARGED, earning a homeguard boots-esque boost, increased base movement speed, and a supercharged Valkyrie that basically carpet bombs a huge area with napalm... but only for a small window of time. Basically, Corki has a minute to make a huge play once he picks up his Corki care package - whether or not he makes the most of his window will often separate the good Corkis from the great Corkis. Corki's basic attacks deal bonus damage, half of which is dealt as magic damage. LOAD UP: After a set period of time, Corki can return to base to “Load Up,” gaining bonus out-of-combat movement speed and access to a “Mega Valkyrie.” On use, Mega Valkyrie travels faster and further than a regular Valkyrie, dropping bombs along the way that knock aside enemies and leave incendiary tar in the area. Enemies that touch the tar are slowed and take magic damage over time. Bombs reload every few minutes. Corki launches a bomb at a target area, dealing damage to and revealing all enemies hit. 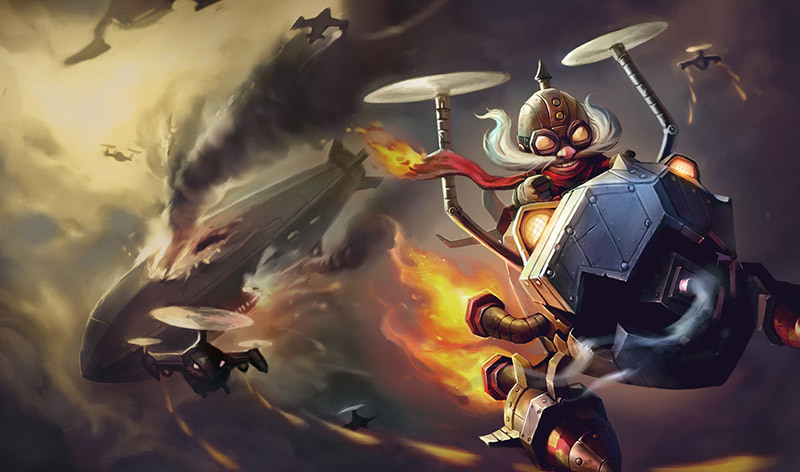 Corki dashes to a target location, dropping bombs that leave blazing patches on the ground. Enemies who stand in the fire take magic damage over time. 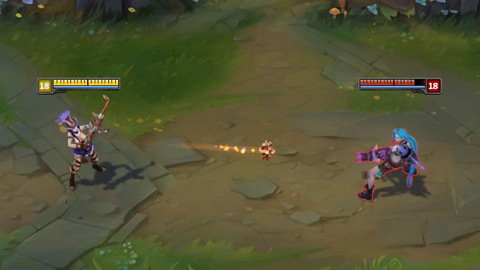 Corki activates his gatling gun, spraying bullets in a cone in front of him and shredding his opponents' magic resistance and armor every half-second they stand in the way of his fire. PASSIVE: Corki stores a charge of Missile Barrage, up to a maximum of 7 stored. He respawns with 4 missiles. ACTIVE: Corki fires a missile in a line that explodes if it hits an enemy, dealing damage to all nearby enemies. Every third missile Corki fires becomes a Big One, dealing additional damage and doubling its explosion radius. 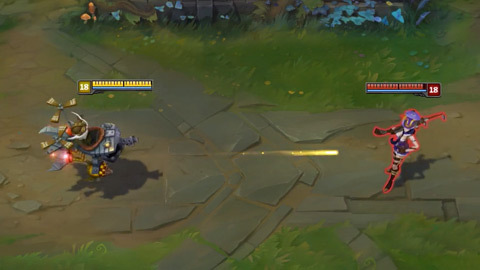 Caitlyn's traps now run on ammo, so the sheriff can lay down up to three at a time, and while trapped enemies no longer suffer damage, Caitlyn can hit them with a basic attack at much longer range to deal instant Headshot damage. She gets the same bonus off enemies caught by her 90 Caliber Net, too. Finally, we're tweaking Cait's Piltover Peacemaker, making the initial shot much thinner until it strikes a target - then her round bursts open and deals reduced damage to everything behind it. Caitlyn Headshots every few basic attacks (attacks while in brush count for additional stacks) or when attacking a target she has trapped or netted. Headshot now scales with Caitlyn's critical strike chance, and its range is doubled against trapped or netted targets. Caitlyn fires a narrow, piercing shot. On hitting a target, the shot widens, dealing reduced damage to following targets. Piltover Peacemaker always deals full damage to trap revealed targets. Sets a non-damaging trap that enemy champions can spring, immobilizing and revealing them for a period of time. Caitlyn stores a new trap over a period of time and can hold up to three traps at once. Caitlyn fires a net, knocking herself back while also dealing damage and slowing enemies. Caitlyn lines up a long-range snipe on an enemy champion over a massive range. Enemy champions can intercept the bullet.